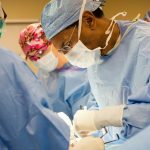 The team at Surgical Specialists of Ocala understands the apprehension that comes with a surgical procedure. We take our role in your care very seriously. We do not accept minimum as a level of training worthy of our patients. We operate at a level above the standard protocol required by having a team directed by Ocala’s leading vascular surgeon. Dr. Ravi Chandra is the only Ocala, Florida surgeon certified by the American Board of Surgery, the American Board of Phlebology, and the American Board of Vascular Medicine as a diplomat in Endo-Vascular medicine. Get a close-up look at Dr. Chandra and the areas of specialties for Surgical Specialists of Ocala. 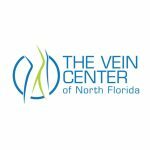 The Vein Center of North Florida uses the latest technology and least invasive procedures possible to repair and optimize the function of your veins. Whether it’s unsightly spider veins or painful bulging veins, it’s not about vanity, it’s about vitality. What you see on the outside is a call to attention for what needs to be corrected on the inside. The Vein Center of North Florida can help you. Endovenous thermal ablation for varicose veins treatment is minimally invasive and involves the insertion of a thin, flexible tube called a catheter into a diseased vein to seal it shut using heat. Blood that would normally return toward the heart through these veins will then travel through other veins instead. Over time the treated vein shrinks and is absorbed by the body. Compared with surgical options like ligation and vein stripping, The Vein Center of North Florida practices endovenous ablation resulting in less pain and quicker recovery time. An aortic aneurysm is an abnormal enlargement of the main blood vessel exiting the heart. Aneurysms can also occur in other arteries, but the abdomen is the most common site. Abdominal aortic aneurysms may involve other pelvic blood vessels or be complicated by plaque buildup. These dilated blood vessels can rupture if the wall gets too thin. If a large aneurysm ruptures, it will cause heavy bleeding into the abdomen. This is a medical emergency requiring immediate treatment. (352) 237-1212, if you’ve been told you have an abdominal aortic aneurysm. At Surgical Specialists of Ocala, we don’t schedule procedures, we schedule patients. It’s all about communication. The first step to effective communication is listening. We are eager to answer your questions and alleviate your concerns. We are listening to you, just ask! We are excited to announce the addition of board certified vascular surgeon Dr. Purandath Lall, MBBS, FRCS (Ed), FACS, RPVI, to our practice on May 1, 2016. Dr. Lall has quite an impressive background in the field of vascular surgery. Surgical Specialists of Ocala has created a quick and painless way to help you get started: an online vein screening. Simply snap and upload a few photos of your problem veins, then answer a few simple questions to give us a better idea of your concerns. After a board-certified specialist evaluates your photos and answers, we will contact you to recommend the best course of treatment, if any, for your individual needs. Our goal is for you to be feeling great and looking great in no time – and achieve peace of mind over your vascular concerns as soon as possible. So begin the journey from the comfort and privacy of your own home… it couldn’t be easier or more convenient. Located directly next door to Surgical Specialists, our new facility for The Vein Center is state-of-the-art. provides online appointment scheduling, access to medical records, and medication renewals. If you are currently a patient with our clinic and interested in signing up for these services, simply click on the Register link at the top of this page and follow the instructions to sign-up.